We wanted to finally be able to provide merchandise for Chicago's favorite holiday show, but never had the funds for the initial purchase. 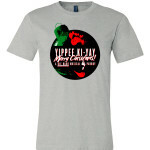 Thanks to the good people at GoodInk we can now offer these amazing Yippee shirts. Order them and they'll be shipped directly to your home by December 18th. Bonus points for wearing them to the shows. Yippee ki-yay!!! 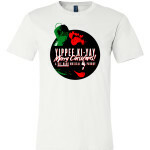 Orders will ship within 10 business days of this fundraiser ending on 12/08. 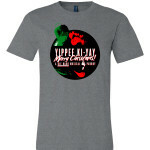 for The 2018 production of "Yippee Ki-Yay Merry Christmas: A Die Hard Musical Parody." 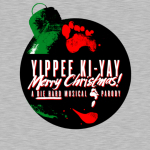 "Yippee Ki-Yay Merry Christmas: A Die Hard Musical Parody" debuted on November 29, 2014 at MCL Chicago. Since then the show has grown in production value and following. The 2018-2019 production is the biggest to date and the show couldn't be where it is without our dedicated fans. These shirts are for you. Thank you for your support over the past 5 years. Yippee ki-yay!